Best Nurses, Inc. is a licensed Home Health Agency by the state of Tennessee and Board of Licensing Health Care Facilities. Our commitment to excellence and quality services is strictly enforced. Our services are available 24-hours a day, 7 days a week. 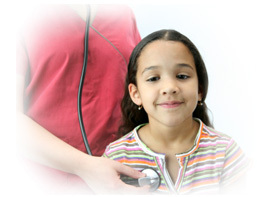 We specialize in the care of pediatric, adult, and geriatric services. It is our job to make life easier for our clients. We are dedicated to providing our clients with in-home care that enriches their lives and to help them regain & maintain maximum level of independent living. Our Mission at Best Nurses, Inc. is to reach for and strive toward the success at bridging the gap of healthcare disparities for those most underserved in our communities with quality home care services. Our obligation to change the growing number of occurrences and mortalities related to heart disease, stroke, cancer and their secondary diseases in our communities is a lifetime commitment of the healthcare providers of Best Nurses, Inc.